Brazil’s former president Luiz Inácio Lula da Silva was convicted and sentenced today to 12 years and 11 months in prison for graft and money laundering in another investigation as part of Operation Car Wash.
Sergio Moro’s substitute on the bench, judge Gabriela Hardt ruled that the Workers’ Party leader benefited from bribes through the renovation of a rural property in the city of Atibaia, São Paulo state. The ex-president’s defense rejects the accusations and will appeal the trial court decision. 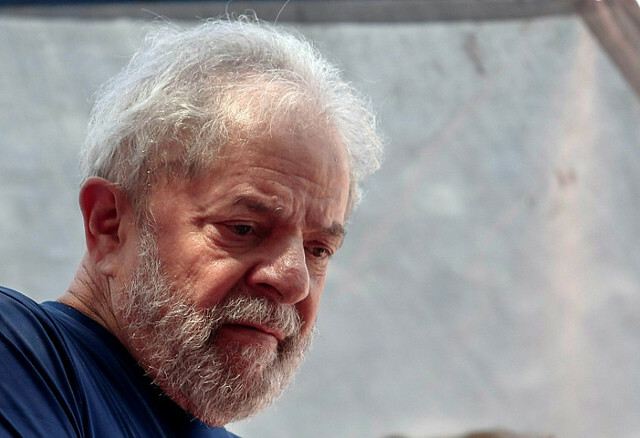 Today’s ruling marks the second Car Wash case in which Lula is convicted. The former president is serving a 12-year sentence since April 2018, after being convicted in a case involving the remodeling of a beachside apartment in Guarujá, São Paulo. To prove the crime of corruption by a public officer, the accusation has to demonstrate what is the benefit received by the servant and what official measure they have taken in exchange for these benefits, but this information is not included in the sentence. What the accusation claims is that the construction companies OAS, Schahin, and Odebrecht allegedly paid for renovations in the property in exchange for contracts with Brazil’s oil giant Petrobras – and that the former president moved to favor them in these contracts. Lula is accused of receiving estimated R$920,000 (roughly US$250,000 in today’s value) through these renovations in the property. Regarding the money laundering accusations, the sentence does not include any information about Lula actually owning the estate – the property is registered in the name of the businessman Fernando Bittar. During the process, Lula’s defense argued that, while the ex-president did visit the property, he did not benefit from the renovations. Judge Hardt did not accept the argument.